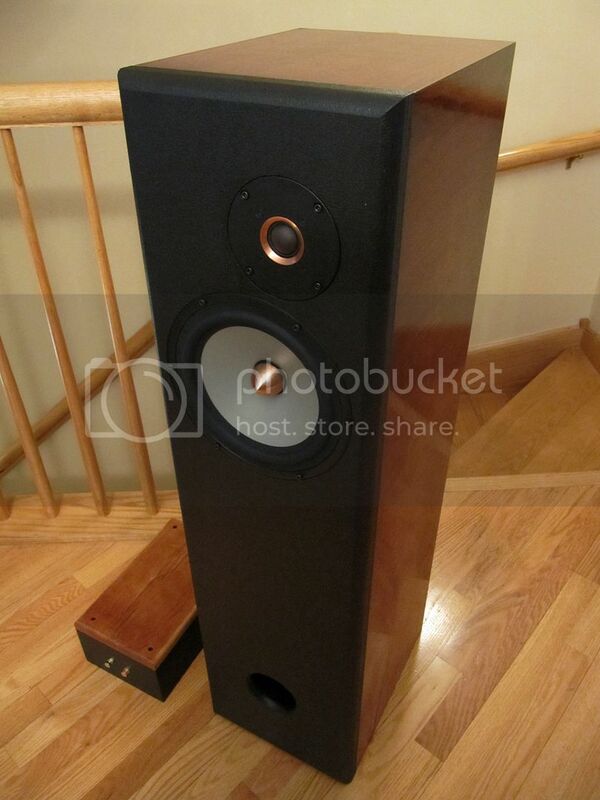 This build is a treat to myself to help celebrate the purchase of a new home....a single family detached home, meaning no more common walls with neighbors who don't appreciate loud music and nice tight low bass. LOL. 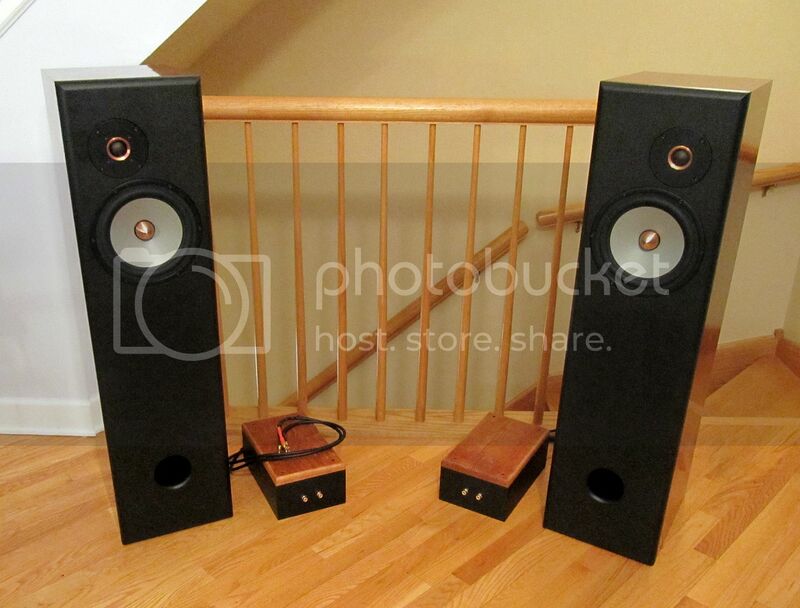 It will be my new reference and "jam out" speakers. 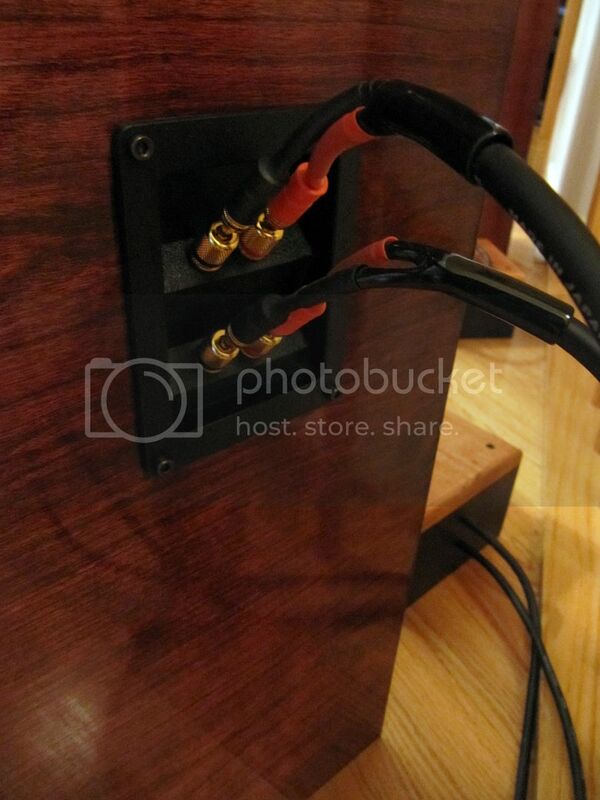 Anyway, with the help of Paul K., who expertly modeled the TL portion of the system this is a floor-standing 2-way MLTL with Seas W22EX001 woofers and Seas T25CF002 Millennium tweeters. It is based on the Seas Trym bookshelf kit. BTW- these are not quite done yet, but they won't be touched until mid-summer, when I plan to spiffy up the finish and do a bit of crossover tweaking. I may add some progress to the build thread at that time, but this will remain as-is in the project gallery. WOW,,,really nice! 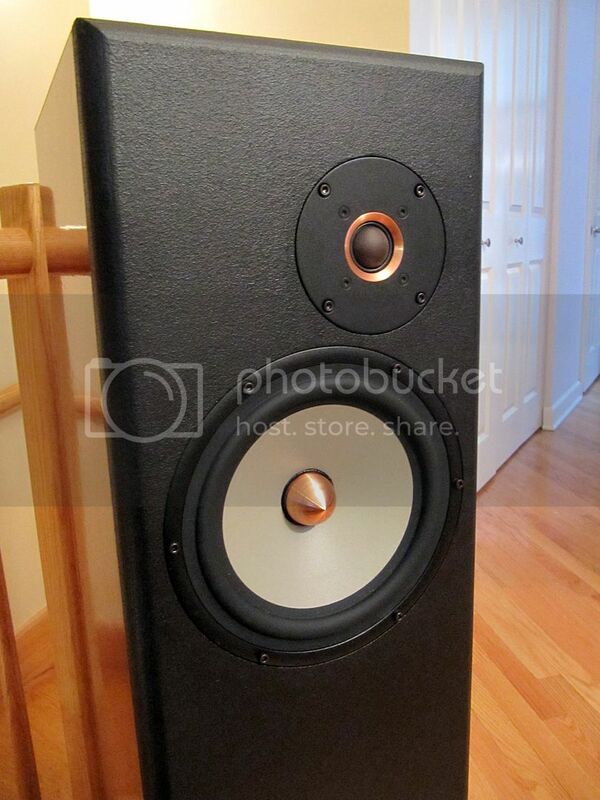 Love the texture on the baffles...and congrats on your new home!....ROCK ON! Wicked super dooper nice. Digging the minimalist design, makes it classier!!! I know you are lightyears ahead of me in home ownership, but welcome to the land of a private home. Congrats. I'll come help you move with my pickup truck but it will take me a week to get there and about $1400 in fuel!! Bryan, what is the cabinet finished in? I know the baffle is duratex, but what about the rest? Looks great and I assume it sounds better. Thanks guys. We have owned before, but we've always had the typical city arrangement that shared common walls with neighbors. After almost 24 years of marriage I think it's about time to be in our own space so I can crank the bass. Hey that rhymes. 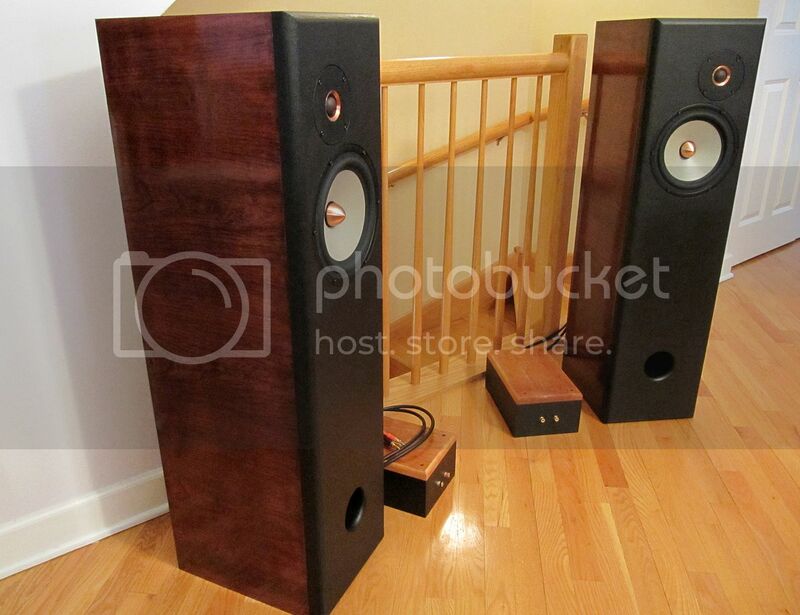 The finish is cherry veneer, stained three times with red mahogany, black cherry and then red mahogany again. Then it is topped off with spar varnish. Everything is oil-based. There's only one seal coat, so my summer plans are to sand and apply a few more coats of spar varnish. That will have to wait till mid-late summer after we move though. Nice job B! 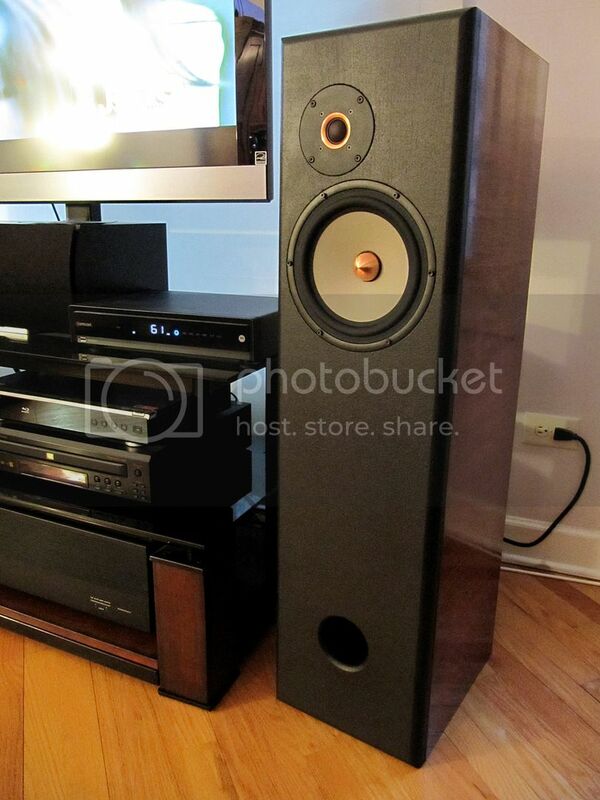 You'll have many years of enjoyment from those speakers. Maybe if you make it down to the KY gathering you can bring them with you. Also congrats on home ownership. Beautiful work. Love the look of those drivers, and the box really complements them. Congrats on the new home and the new build. Yup there's nothing like being able to crank it when you want, but sometimes the neighbors will still complain. But let'em an have a good time.